If you want to roast your own coffee beans, you’ll need a good coffee roaster. We’ve compared the best roasters on the market, so read on! The ultimate freshly roasted coffee! 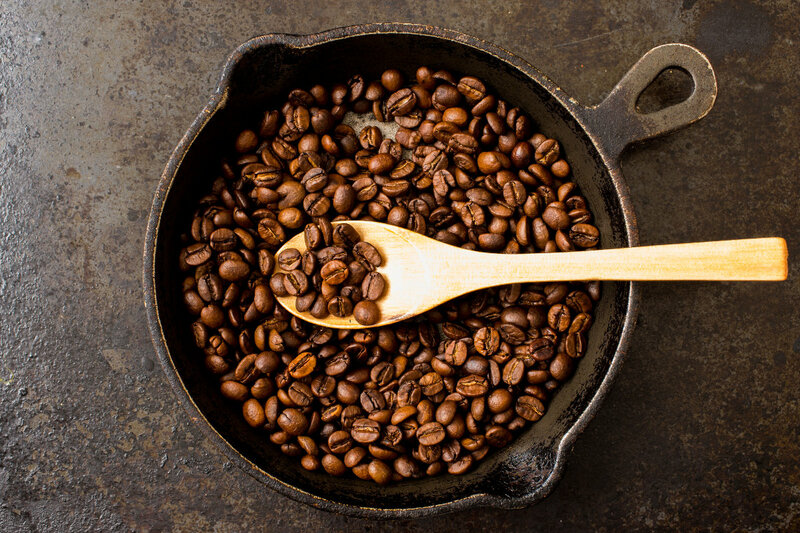 Real coffee aficionados roast their own beans! If sourcing fresh beans and roasting them for your coffee is your thing, then this selection of home coffee roasters will pique your interest! Enjoy barista quality coffee in the comfort of your own home! What are you looking for in your coffee bean roaster? A coffee bean roaster might be a fairly simple device but it can help you get that delicious-barista style coffee taste from the comfort of your own home. The Nuvo Eco Ceramic Handy Coffee Bean Roaster is a hand-held, eco-friendly roaster which has many appealing features. The Nuvo Eco Ceramic Handy Coffee Bean Roaster is a hand roaster, it has a very aesthetic design and it’s made from a strong ceramic material. It is entirely eco so you can be satisfied that you are using recyclable materials plus doing your part for the environment. 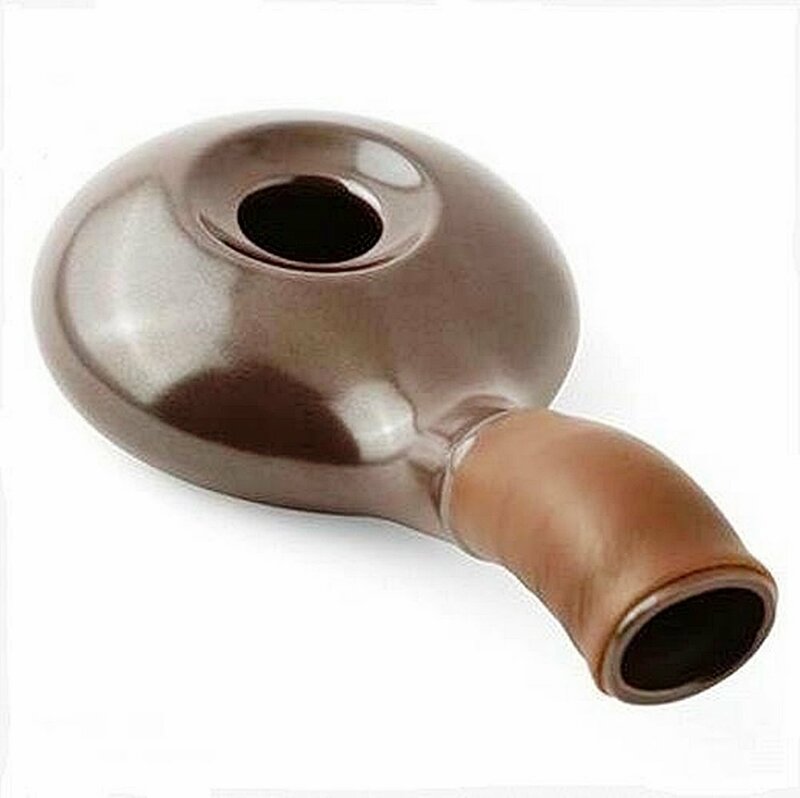 This hand-held roaster does get very hot but there is a leather heat-proof grip so your hand does not burn, you should also use gloves during use. Whatever coffee beans you are using are guaranteed to roast easily thanks to the waffle shape inside the roaster. 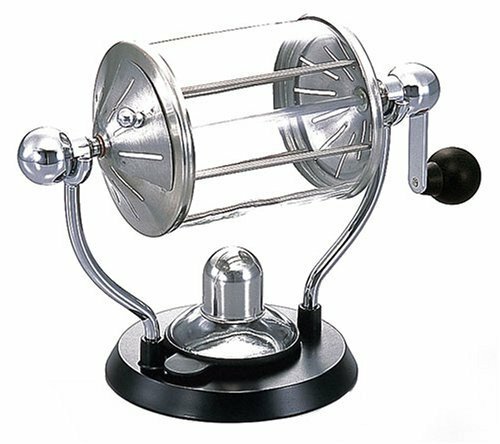 The fact this is a hand roaster guarantees precision and it is easy to use on a hob or fire. This hand roaster is made from durable ceramic with a cowhide leather grip handle. It is really easy to use the device to produce coffee in minutes and it does come with full instructions too. A popping sound can be heard when roasting is taking place and due to the waffle shape inside the accessory, even roasting is guaranteed. In terms of size, the roaster is 243 mm x 132 mm x 33mm. It has a capacity of 30 – 70 grams. If you want to enjoy the smoothest coffee ever but you don’t want to commit to an entire machine, this is the perfect product. The Nuvo Eco Ceramic Handy Coffee Bean Roaster has a great reputation with customers and it’s the ideal device for those who are new to making coffee from beans. Enjoy the quality of coffee you love at home with a coffee bean roaster. There are a variety of coffee bean roasters on the market, all with different features that make them stand out. The Hario Hand Operated Coffee Bean Roaster is a great product and you can learn more about it below. The Hario Hand Operated Coffee Bean Roaster is a hand roaster, it is very easy to use to produce coffee exactly how you like it. The product is quite unique looking but absolutely beautiful with a shiny silver finish. While this is slightly more expensive than other hand roasters on the market, it is worse investing in if you are particularly passionate about coffee. Any coffee beans can be used in the device and the entire process takes around 15 minutes or so, depending on the consistency you like. The Hario coffee bean roaster has positive reviews from customers all over the world and we’re sure you will love it too. You can add whatever beans you want to this handheld roaster, allowing you to create your perfect blend. It comes complete with an alcohol burner so you can give your coffee a little extra kick if required. The product is made from stainless steel, it is very durable and should last you for years to come. It is possible to make 50 g of coffee at any one time with the Hario Hand Operated Coffee Bean Roaster, which is more than enough to keep everyone happy. 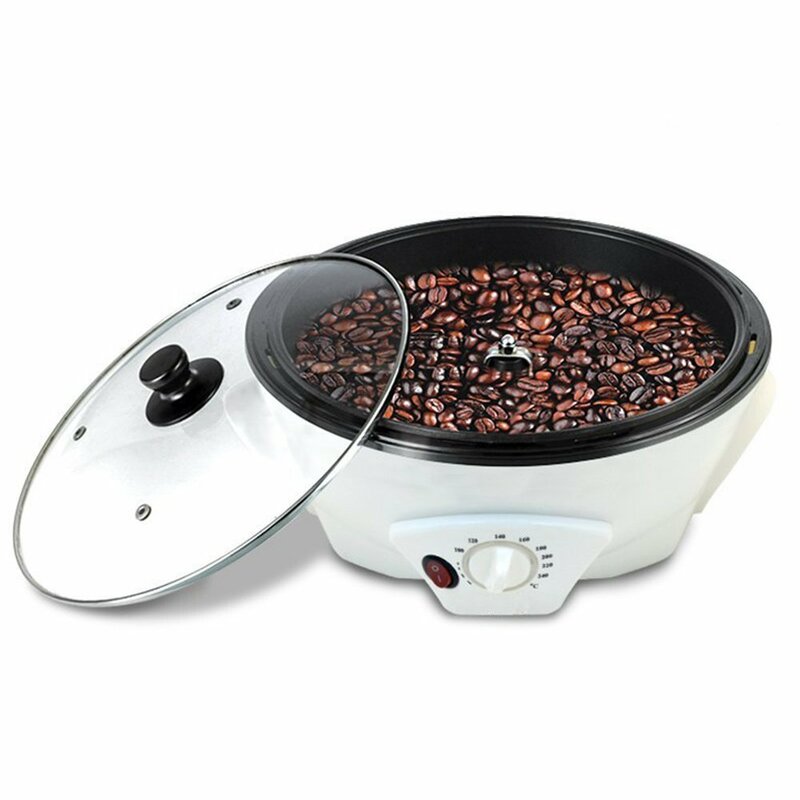 This absolutely gorgeous coffee bean roaster would make a stylish addition to any kitchen. If you find yourself constantly buying coffee on the go, this could be a purchase worth making. It works really well and allows you to have the coffee you want every day without even leaving the house. Enjoying smooth and delicious coffee just the way you like it is easy if you have the right equipment. The Vogvigo Home Roasting Machine is a great item that has a positive reviews from customers all over the world who have bought it. Let’s take a deeper look at the item so you can discover if it’s worth investing in. The Vogvigo Home Roasting Machine is an automatic coffee bean roaster so it does all the work for you! The stylish machine is modern with a clean white finish. The non stick chassis takes all different kinds of beans and will grind them, or spices, with ease. There is a warranty with the item so you can get your money back if you experience any problems with the item within the first two years. It is easy to use even if you have never used a roasting machine before but it does also come with a full instruction booklet. The temperature on the Vogvigo Home Roasting Machine is adjustable (100 to 240 degrees as required). It is completely automatic meaning when switched on, the stirrer will grind the beans for you. The product is very durable and it is FDA plus LFGB certified. The roaster has a capacity of 1500 grams and it comes with a manual, a converter and some torrefattore coffee beans. In addition to grinding coffee beans to the consistency you want, you can also grind seeds, nuts and popcorn. If you want to roast and grind your own beans at home but you want a machine that does it all for you, the Vogvigo Home Roasting Machine is perfect. 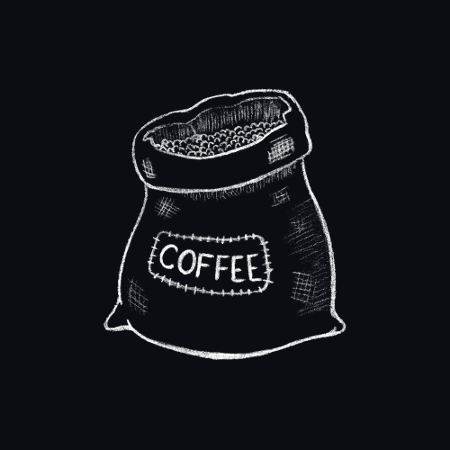 This is definitely for people who want to roast a higher volume of coffee beans as the drum machine holds up to 1500g of beans. 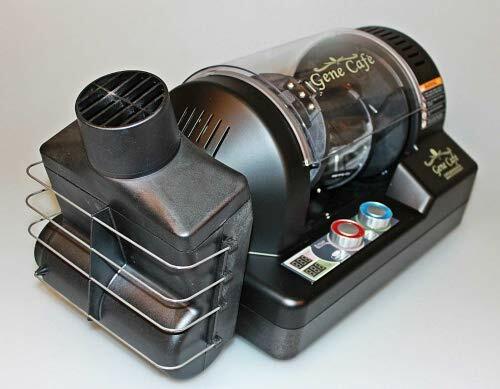 Every coffee connoisseur needs a high quality coffee bean roaster in their home and the GeneCafe CBR-101 Coffee Roaster is clearly a popular choice. While it is somewhat more expensive, it has a number of qualities that help it stand out from the crowd. Let’s take a deeper look at this product so you can see exactly what it offers. The GeneCafe CBR-101 Coffee Roaster is available in both black and red. It is powered entirely by electric and it’s automatic, meaning the machine does all the work for you. The LED display tracks time, temperature and generally makes the entire roasting experience a smoother one. The adjustable temperature allows you to get the beans exactly how you like them, allowing you to enjoy restaurant style coffee from the comfort of your own home. The hot air drum holds around 300 grams of beans and an instruction manual is included so you know exactly how to use the product. There is a warranty included so you can get your money back if you have any issues. The temperature is adjustable (160 degrees Celsius – 250 degrees Celsius), with a max roasting time of 30 minutes. Everything on the GeneCafe CBR-101 Coffee Roaster is removable which makes it easy to clean between uses. Included with the product is the product complete with roasting drum, a large stand, cleaning brush, replacement rubber buffer and an instruction manual. The way the roaster has been made guarantees the smoothest and most delicious coffee that you have ever tasted. The GeneCafe CBR-101 Coffee Roaster is designed for home use, but it’s also commonly used by coffee shops due to it’s high quality. While it’s the priciest of the coffee roasters listed here, it incorporates state of the art design and workmanship, making it one of the top home use coffee roasters on the market.